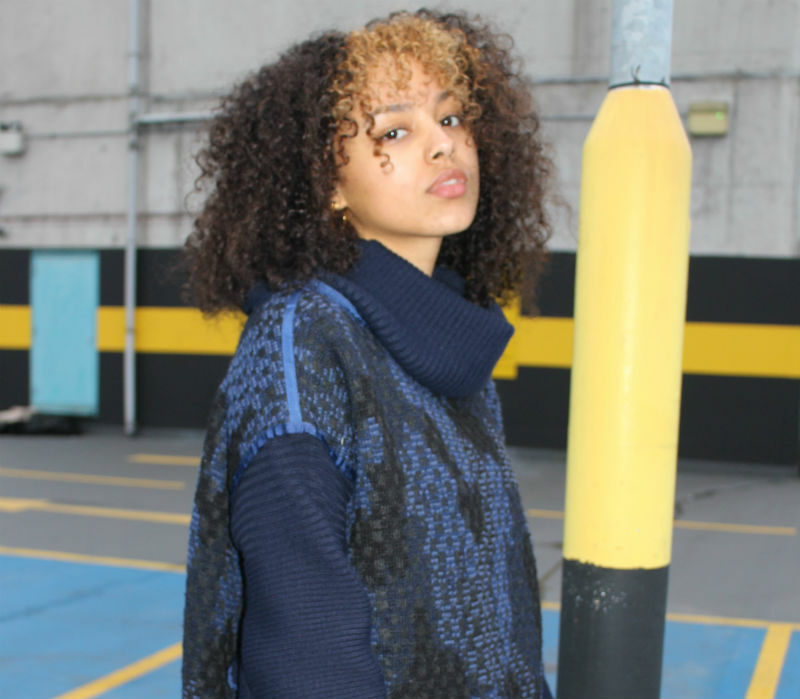 International Fashion Promotion student has been shortlisted for The Dame Vivienne Westwood Sustainable and Ethical Award sponsored by the Lenzing Group, supported by The Sustainable Angle and Ethical Fashion Forum. 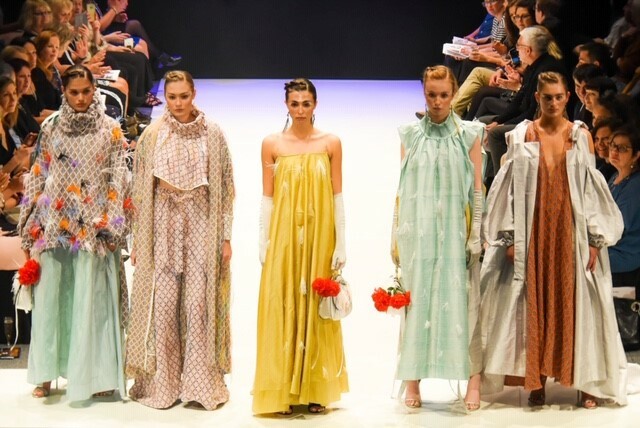 Final Year International Fashion Promotion student Eva-Joy Sargent and her team have been shortlisted for The Dame Vivienne Westwood Sustainable and Ethical Award at Graduate Fashion Week 2017. 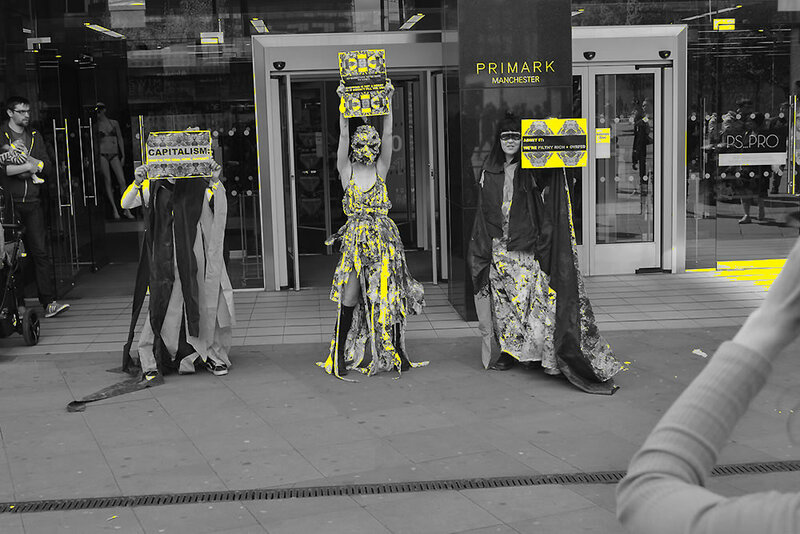 Eva-Joy created a sustainability protest in Manchester’s city centre, demonstrating the danger of living in a ‘fast-fashion world’. 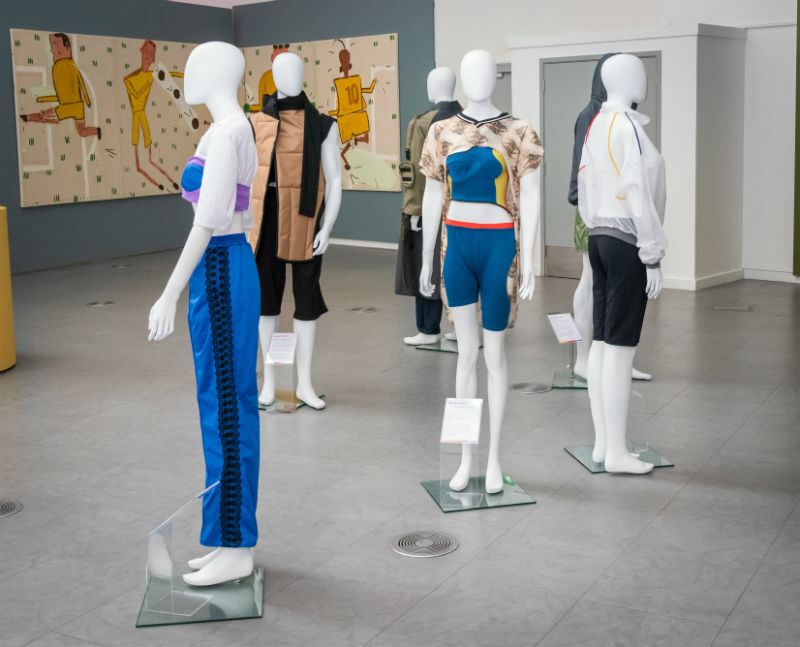 Her project was developed through consultation with key senior figures in Manchester Fashion Institute and discusses the ethical practice, morality and political roles of the fashion education system in our changing times. She said of the experience: “We wanted to encourage consumers to think and act and understand that with small changes come big differences! I am overwhelmed at being shortlisted. One of the reasons I chose this course was to inflict change in the fashion industry and to be recognised for that is surreal! We were blown away from the response we got from the protest itself and now this - it is an unbelievable feeling”. 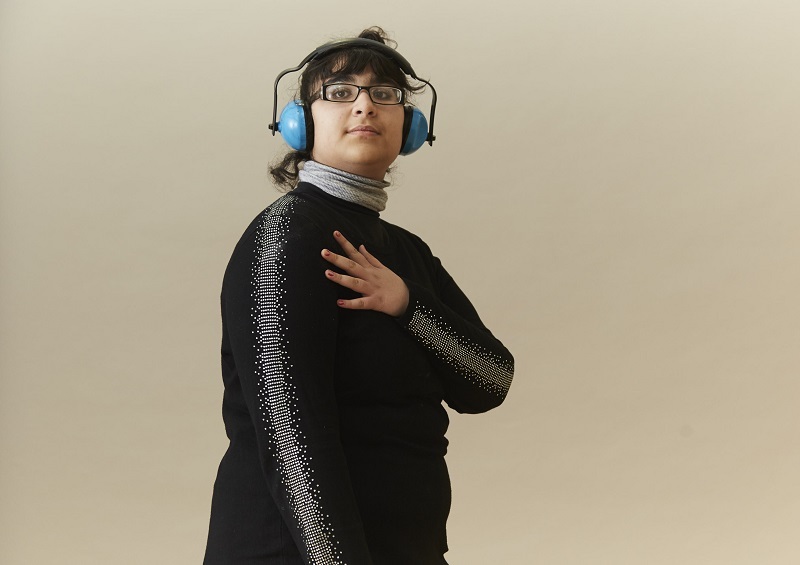 In order to win this prestigious award, the judges are looking out for a project that is sustainable, ethically aware and socially responsible with a lower environmental impact that embodies and communicates sustainable and ethical practices. The award will be judged and presented on the 4th June at the Daily Award Ceremony in GFW Live! at 6pm, with the winning graduate receiving £750.